18 But all things are of God, who reconciled us to himself through Jesus Christ, and gave to us the ministry of reconciliation; 19 namely, that God was in Christ reconciling the world to himself, not reckoning to them their trespasses, and having committed to us the word of reconciliation. 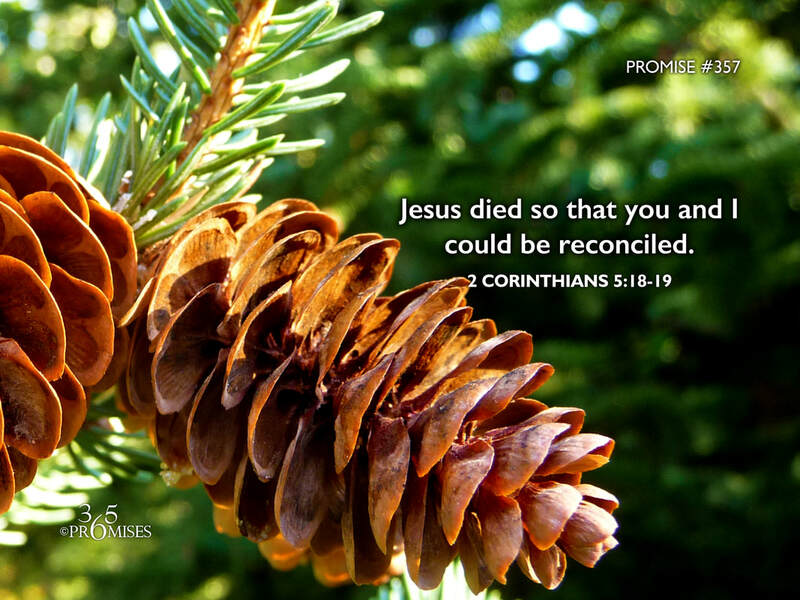 The greatest promise that we could ever receive from our God and Father was the promise of reconciliation. Jesus came to the earth two thousand years ago to be the expressed image of the invisible God and to provide the way for us to become part of His amazing family through the work of the cross. Because of Jesus' death, burial and resurrection, we are now legitimate members of the family of God and joint heirs with Jesus Himself. There is no greater gift or honor that God could bestow upon us than to have the power to become His children (John 1:12-13). And now, we too have been called into this glorious ministry of reconciliation, where we can invite others who are not yet in our Father's house, to be reconciled to God through the free gift of Jesus Christ! What an incredible gift the Father has given us, to be His co-laborers in the harvest field, inviting orphans and prodigals alike to come home through Jesus. May we all have many, many opportunities to share in the ministry of reconciliation this Christmas season.